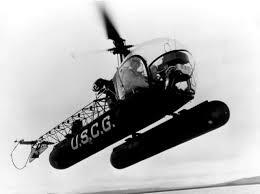 The Bell H-13 Sioux was a single-engine single-rotor light helicopter built by Bell Helicopter. Westland Aircraft manufactured the Sioux under license for the British military as the Sioux AH.1 and HT.2. In 1947, the United States Army Air Forces (later the United States Air Force) ordered the improved Bell Model 47A. Most were designated YR-13 and three winterized versions were designated YR-13A. 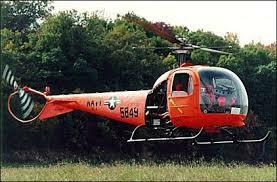 The United States Army first ordered Bell 47s in 1948 under the designation H-13. These would later receive the name Sioux. Initially, the United States Navy procured several Bell 47s, designated HTL-1, between 1947 and 1958. The United States Coast Guard evaluated this model, and procured two HTL-1s for multi-mission support in the New York Harbor. The most common U.S. Navy version of the 47 was designated the HTL-4, and dispenses with the fabric covering on the tail boom. The U.S. Coast Guard procured three HTL-5s in 1952 (similar to the HTL-4 but powered by a Franklin O-335-5 engine) and used these until 1960. The Coast Guard procured two of Bell’s Model 47G and designated them HUL-1G in 1959. The H-13 was used as an observation helicopter early in the Vietnam War, before being replaced by the OH-6 Cayuse in 1966. The Sioux is a three-seat observation and basic training helicopter. In 1953 the Bell 47G design was introduced. It can be recognized by the full “soap bubble” canopy (as its designer Arthur M. Young termed it), exposed welded-tube tail boom, saddle fuel tanks and skid landing gear. In its UH-13J version, based on the Bell 47J, it had a metal-clad tail boom and fuselage and an enclosed cockpit and cabin. The H-13 and its military variants were often equipped with medical evacuation panniers, one to each skid, with an acrylic glass shield to protect the patient from wind. A single 260 hp Lycoming VO-435 piston engine was fitted to the 47G variant. Fuel was fed from two high-mounted external tanks. A single two-bladed rotor with short inertial stabilising minor blades was used on the Sioux. [note 1] 28 Bell 47A helicopters procured by the United States Army Air Forces for evaluation. The YR-13 was powered by a 175 hp (130 kW) Franklin O-335-1 piston engine. 10 of the aircraft were evaluated by the U.S. Navy as trainers. 3 YR-13 aircraft winterized for cold-weather testing in Alaska. Redesignated YH-13A in 1948. US Navy equivalent of the commercial Model 47D. 12 built. US Navy equivalent of the commercial Model 47E, powered by a 200 hp (149 kW) Franklin 6V4-200-C32 engine. Nine built. 65 aircraft ordered in 1948 by the U.S. Army. All Army versions were later named Sioux. One H-13B used as engineering testbed. Fitted with skid undercarriage and open, uncovered tailboom. 16 H-13B aircraft converted to carry external stretchers in 1952, with skid landing gear and open tail boom of YH-13C. Army two-seat version based on commercial model 47D-1, with skid landing gear, stretcher carriers, and Franklin O-335-5 engine. 87 built. H-13D configuration with three-seat aircraft with dual controls. 490 built. Modified Bell 47G powered by a Continental XT51-T-3 (Turbomeca Artouste) turboshaft. The first Bell helicopter powered by a turbine engine. Three-seater based on commercial model 47-G. Introduced a small elevator on the tailboom. 265 delivered to US Army. Based on 47G-2. Equipped with a 250 hp (186 kW) Lycoming VO-435 engine. At least 453 acquired by US Army. UH-13Hs were used by the U.S. Air Force. Two Bell 47J-1 Rangers acquired by the U.S. Air Force for VIP transport of the U.S. President. Originally designated H-13J. Two converted H-13Hs with a larger diameter rotor and a 225 hp (168 kW) Franklin 6VS-335 engine for test evaluation. Originally designated as the Navy HTL-4. Utilized a Lycoming O-335-5 engine. Incorporated a small movable elevator. Originally designated as the Navy HTL-6. 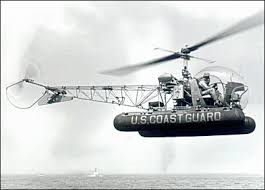 Originally the HUL-1G, it was used by the U.S. Coast Guard for search and rescue. Powered by an Allison YT63-A-3 turbposhaft engine. Original US Navy designation HUL-1M. Three-seat observation helicopter based on 47G-3B to replace the OH-13H. 265 received by US Army. Two-seat instrument trainer for the U.S. Army based on the 47G-3B-1, powered by 270 hp (201 kW) Lycoming TVO-435-D1B. 411 purchased. General purpose helicopter for the British Army, 50 built by Agusta (Agusta-Bell 47G-3B1) and 250 built by Westland (Westland-Agusta-Bell 47G-3B1). A small number also used by 3 Commando Brigade Air Squadron of the Royal Marines. Training helicopter for the Royal Air Force, 15 built by Westland. Texas Helicopter Corporation conversion of OH-13E helicopters for agricultural use, powered by 200 hp (150 kW) Lycoming TVO-435-A1E engines. Texas Helicopter Corporation conversion of OH-13H helicopters for agricultural use, powered by 240 hp (180 kW) Lycoming TVO-435 engines. Texas Helicopter Corporation conversion for agricultural use, powered by 270 hp (200 kW) Lycoming TVO-435 engines. Texas Helicopter Corporation conversion of Bell 47G helicopters for agricultural use, powered by 420 hp (310 kW) Soloy-Allison 250-C20S engines.